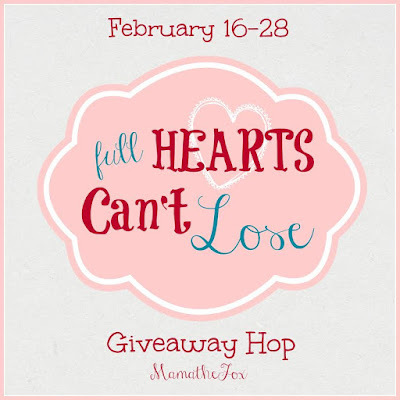 Welcome to the Full Hearts Can't Lose Giveaway Hop hosted by MamatheFox. 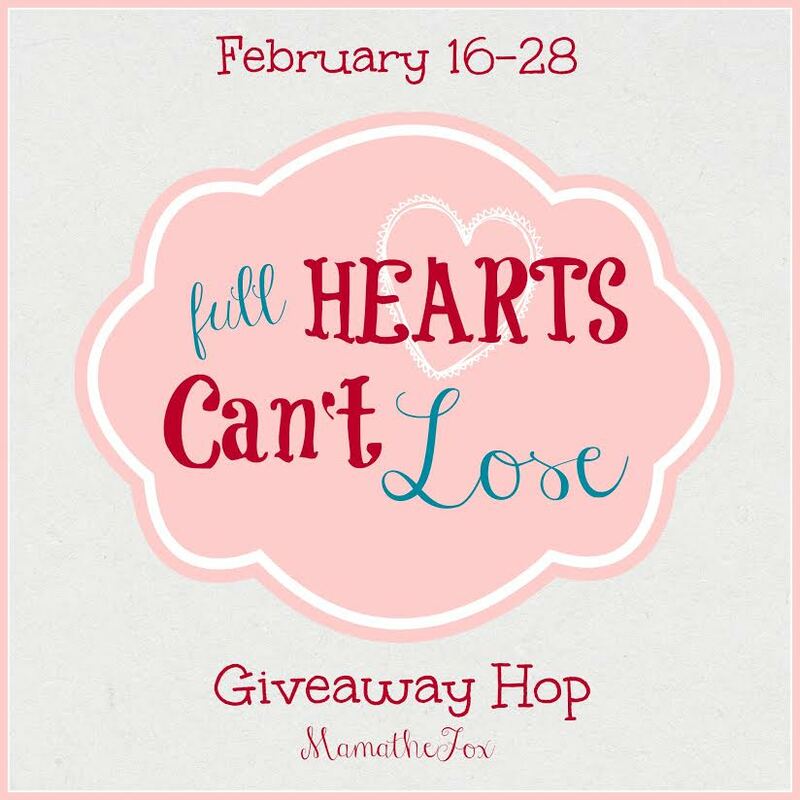 From now through February 28th, hop along to all participating blogs for a variety of giveaways just for you! There is no limit to how many you can win, so be sure to enter them all! When I think about that term, I cannot help but think of the Grinch at the end of the story. His heart so full of love and Christmas spirit that it suddenly cannot be contained and just bursts. Yes, that's a pretty full heart. Our hearts can be full for many reasons... perhaps it's watching a young couple in love (or an older couple still in love). Perhaps its seeing your new baby for the first time. Perhaps its cuddling up to the little ones as they drift to sleep. For me, one instance in which I always have a full heart is when I'm worshiping God. I grew up in a very small country church. They loved God, but the music... well, it was good don't get me wrong, but it was subdued. It wasn't overly passionate, you didn't see a lot of people swaying... it was a beautiful piano medley and some traditional hymns and that was that. There's nothing wrong with that of course, but when I first encountered a more lively music service at camp as a teenager? Well, let's just say it completely changed my view of what worship could be. I saw people having fun with worship. There was dancing, there was jumping... of course we were young and it was summer, but it was more than that. We were letting go of all the things that were holding us down, we were giving it to God, lifting our hands and just singing his praises. There was laughter, there were tears... it was such an emotional experience that is so hard to explain. I can only say that you could certainly feel God's presence in that place. It was life changing. If you've been lucky enough to go to a Passion event, you probably understand all too well the kind of worship experience that that can bring. But what about those of us who are not able to attend? With the new Passion album, we can bring in that worship wherever we are. 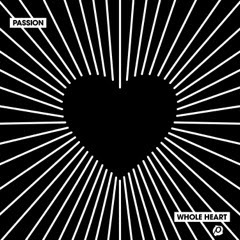 WHOLE HEART is the new live album from Passion—captured at Passion Conference 2018 in Atlanta, GA. Passion Conference 2018 was a beautiful worship experience, and the live album captures each powerful moment, allowing those who were not in attendance to experience it. Featuring Passion Artists: Kristian Stanfill, Melodie Malone, Sean Curran, Matt Redman, Crowder. First of all, I was so happy to see some familiar names from some of my favorites. Each song is absolutely beautiful--- sharing God's goodness in a way that can only be done through music. I found myself closing my eyes and swaying as I did dishes and listened. Sure, it might not be quite the same as being there, but it's certainly a great way to worship at home! Want to bring home the Passion experience for yourself? It will be available to purchase February 23rd. Follow the link below to pick up your own copy. I am a huge fan of Christian music!